FREE Craftsman Led Pocket Lights! You are here: Home / Great Deals / Christmas Deals / FREE Craftsman Led Pocket Lights! 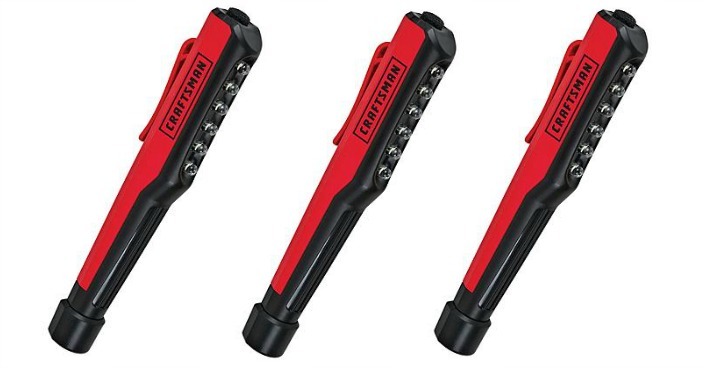 Sears has this Craftsman Led Pocket Lights on sale for $4.99 (Reg. $7) and you can get back $5.04 in Shop Your Way points, making it FREE! The Craftsman Led Pocket Light comes with 6 bright 40 lumen LED’s. The pocket clip lets you easily clip the light to your pant pocket, and the magnetic base turns this pocket light into a great impromptu work light for under the hood of your car or truck.